What's hidden in your chromosomes? For ANZAC Day today, I decided to share two photographs from my family's photo collection. Both photos originate from the same family album belonging to a cousin of my mother. I have limited information about the soldiers in the photos, as the original owner is now deceased, but I would like to share them in case others can claim them as belonging to their families. There are several records found online for a Richard Clive CAWTHORN, born in 1895 in Tasmania, who later lived in the Daylesford area of Victoria. His details are on the AIF Project, his service record is in the NAA collection, and TROVE digitised newspapers have several news items on him and his family, including a news item about his death in 1950. I hope one of his descendants from Tasmania or Victoria finds this photo, firstly, in case they don't have a copy, and secondly, in case they know anything about the other two chaps. This soldier, seated, is very likely my relative, given his surname, and I also think he resembles my grandfather, whose sister had the photo in her family album. The NAA service records, AIF database and Trove digitised newspapers all offer records on a number of different Sydney/Sidney DUNNs, so I need to start some serious descendancy research to identify where he might fit into my DUNN family. My great-great-grandparents had 13 children, and 8 of those lines I have not followed properly yet! If any of my DUNN relatives know about Sydney, above, please do get in touch! There are no records on the AIF website for any WESTRENs. Perhaps the surname has been mis-transcribed and should be WESTERN or WESTON? The AIF site includes records for Frederick Clyde WESTERN from Marion in South Australia, Frederick WESTON from Shelford, Victoria, and Frederick Harold WESTON from Mundaring, WA. NAA also has records on a number of WESTRENs from NSW, but no Fred, Frederick, Alfred or similar. TROVE has a few results for ‘Westren’, but nothing obvious that leads me to Fred. If anyone can help by sharing this photo to anyone they know by the surname of Westren, Western or Weston, that would be appreciated. Does the setting of the photograph above help? Would it have been taken outdoors or on the field, given the paved floor and backdrop? A quick Google Image search shows some other AIF soldier portraits taken in front of what appears to be the same backrop and paved floor. I do not know the identity of the men in this photo, nor exactly where or when it was taken. The tents appear similar to those at the Mena Camp in Egypt. A search on Google for "mena camp" gives many similar photos, but it may have been taken at a similar training camp located elsewhere. If anyone has any information or ideas they can share regarding this photo, I would be pleased to know! Rather freaky reading this on my feed. Had just finished reading through Richard Clive Cawthorn's War Service Record online. He is a distant relation to my husband. Unfortunately, I am unable to give any more information about him, than what is already online. Apologies fornot been of much help, but thank you for posting this wonderful photo. Thank you for your comment - I'm glad you liked the photo! Perhaps someone else from the Cawthorn family will find it too. I know many people are looking for photos of WWI soldiers, as very few are in the records, so I thought it was finally time to share it! 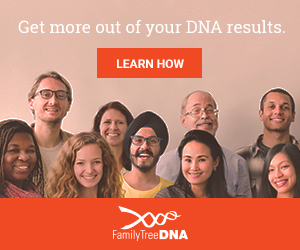 Which DNA testing company should I use? What types of DNA tests are available? Copyright © Genie1 2016. All Rights Reserved. ABN 80 776 782 263.